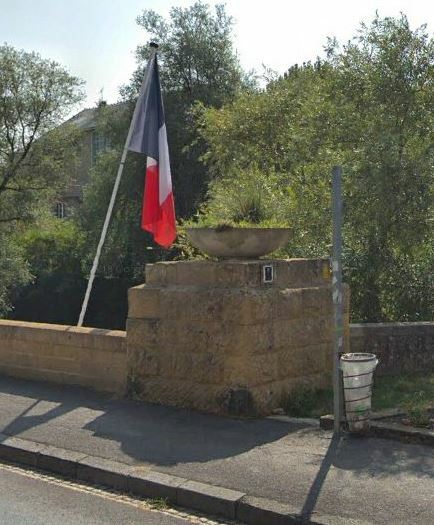 On the bridge abutment, on the side facing the town. Plaque A black metal plaque with French text mounted on a white stone base which is mounted on the stone bridge abutment. The plaque honors the 296th Engineer Battalion which build a bride to cross the Meuse here from 10-15 September 1944. The top of the plaque displays the unit insignia. 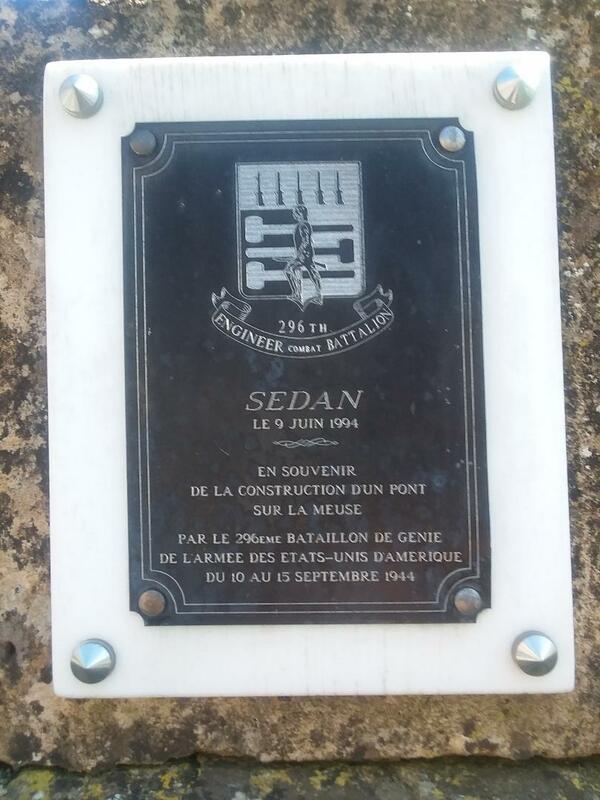 ENGLISH TRANSLATION: In memory of the construction of a bridge over the Meuse by the 296th Engineer Combat Battalion of the US Army from 10 to 15 September 1944.